Stressed out with exams and deadlines? Want an opportunity to express your artistic skills? Come and join us for a therapeutic and relaxing Easter Egg decoration session! 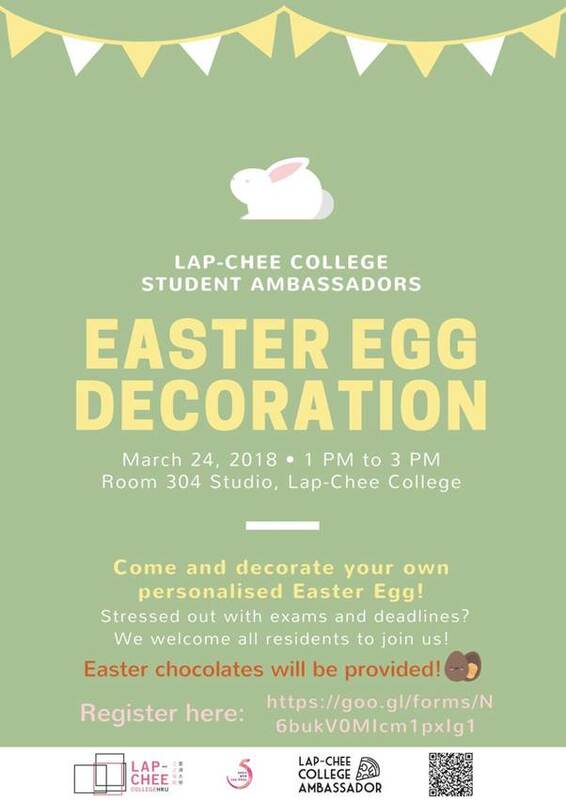 You will have the opportunity to make a beautiful and unique personalised Easter Egg through simple techniques, and also interact with fellow Lap-Chee residents and build a sense of community and friendship. Feel free to join us for a meaningful Saturday afternoon, and share the joy of Easter! Easter chocolates will be provided for all participants. *first come first served basis.